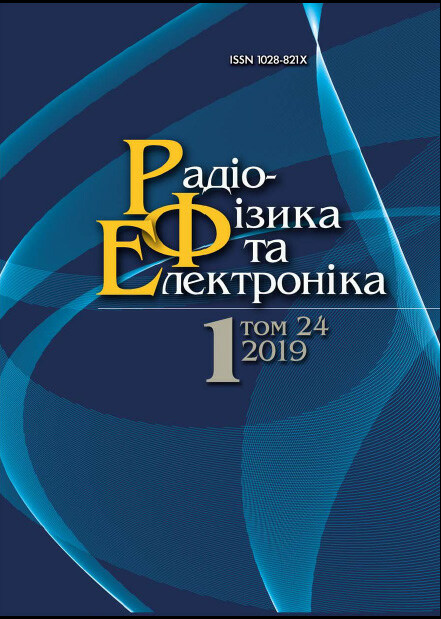 “Radio physics and electronics” (RPE) is a reviewed quarterly scientific journal of the National Academy of Sciences of Ukraine. 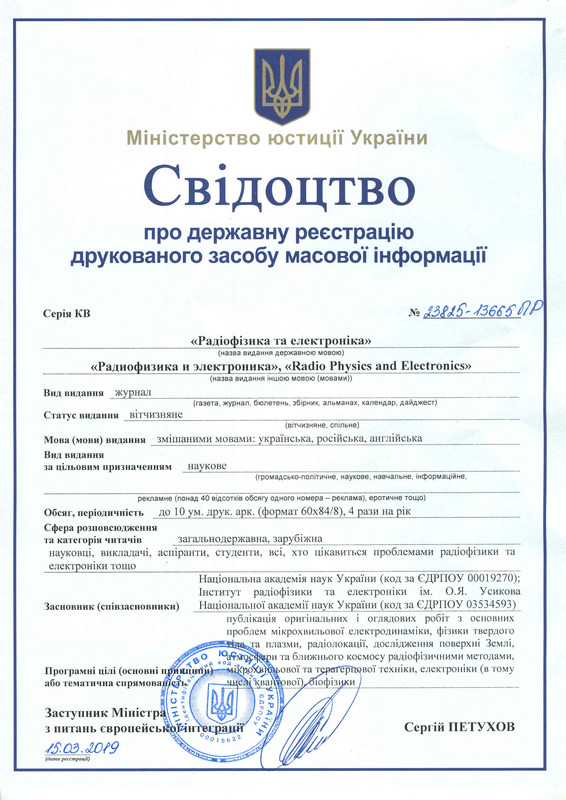 The certificate of state registration of a printed matter: КВ № 23825-13665ПР от 15.03.2019. The articles of RPE cover current problems of radiophysics and electronics, they contain results of fundamental and applied research, describe developed research methods, equipment and practical use. It publishes original and review articles on the main problems of microwave electrodynamics, solid state and plasma physics, radiolocation, studies of the Earth’s surface, atmosphere and near space by radiophysical methods, microwave and terahertz techniques, electronics (including quantum electronics), and biophysics. The journal RPE is intended for specialists working in radiophysics and electronics as well as for PhD and senior students.